Not my best work, I'm sorry to say. 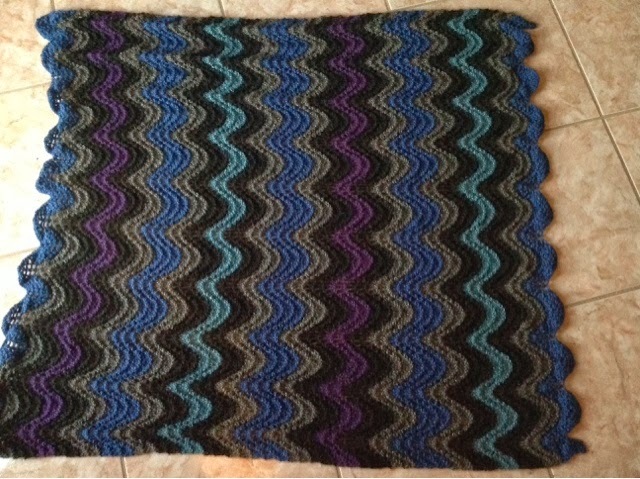 I felt like there are quite a few "errors" that I tried to fix when the ends were woven back in. When I looked at the blanket as a whole, my eye focuses on those edits. 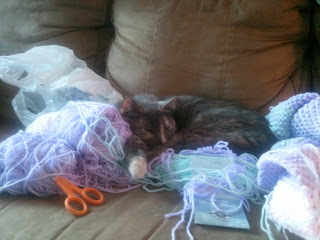 The problem was the yarn - it kept getting so tangled. I spent more time untangling it than knitting. 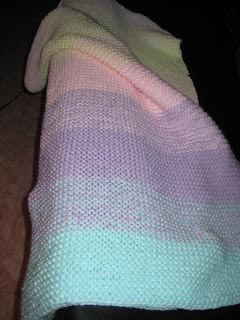 What I love about the pattern is the gradient, but I think this works best with pastel or muted colors. 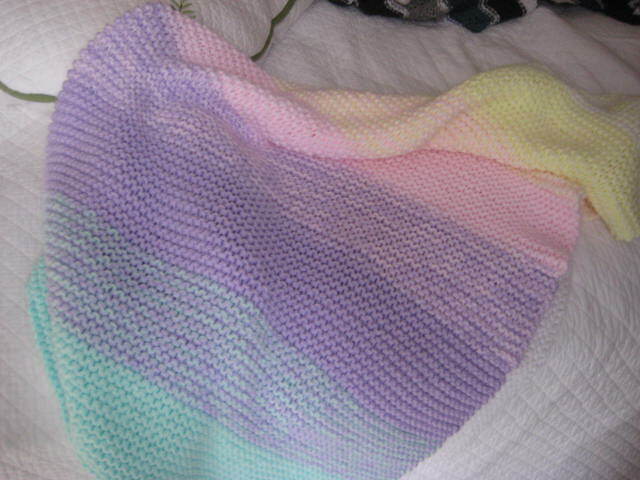 The other nice feature of the blanket is the feel of the yarn. 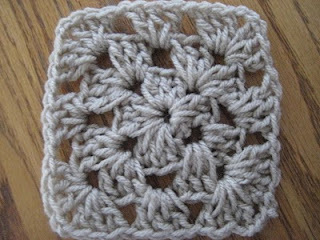 It was baby sport yarn in the first place so by its nature, it's soft. Once I washed this blanket, the yarn really softened up. I was so happy when it came out of the dryer and the softness was even more apparent. Our newest cat, Tigger, is a true blessing, if only because he actually uses the various cat accessories that I have wasted money on in the past. Delilah needs nothing but a bed to lie on and Macy just wants her own corner cat condo. 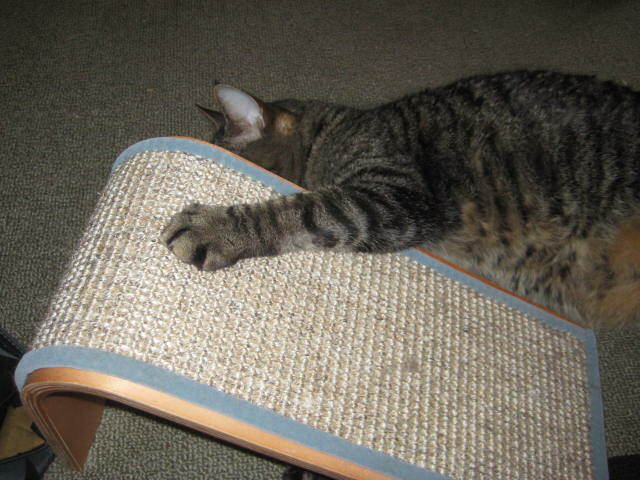 A reclining scratching post was never once looked at by Macy or Delilah, but Tigger? He's all over it. Even though he has no front claws, he will claw at this thing like he's got talons. 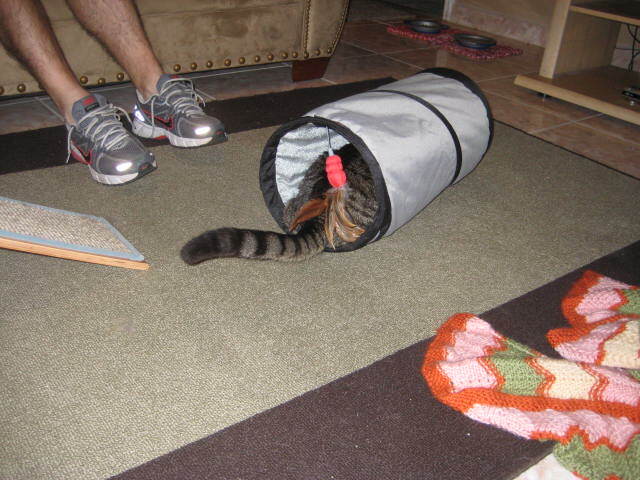 Sometime last year, I bought this cat groom tunnel made by Kong. I thought Macy might like it, even though I had nothing to back up that assumption. She might have looked at it once, but it was basically abandoned. Until Tigger arrived. He's a great addition to our house. He was the cat sleeping next to me as I typed this blog entry.